In his welcome address, Mr. P. Ramakrishna, Deputy CEO, CIO Academy Asia, said that the digital economy is powered through and defined by four ‘superpower’ enablers: mobility, cloud and the Internet of Things (IoT). The current global environment is Volatile, Uncertain, Complex and Ambiguous (which constitutes the VUCA world of ours today), and these are the traits that signify the beginning of the new Industrial Age 4.0! According to Mr. Ramakrishna, we are at the point of inflection, the fourth industrial revolution, which is defined as the fusion of technologies from the digital, physical and biological worlds, focused on the multi-disciplinary, the inter-disciplinary, multi-skills and multi-tasking with impacts on the political, social and economic climate. Superpower technologies, such as mobile, cloud, IoT and artificial intelligence (AI) disrupt the way we live, the way we hire, and do businesses. There is also now a pressing need to keep up with digital natives. He used the analogy of ‘changing the wheels of the car while it is moving’ to describe what is expected from tech leaders to remain relevant in this new Digital Age. In his keynote, Mr. Ani Bhalekar, Director, IoT and Mobility Practice Lead, Accenture Digital, highlighted the fact that the combination of IoT, data analytics, cloud and AI has powered transformations in the top-down and bottom-up processes of a company. Digital disruptions do not mean dramatic amounts of change in the workforce or investing enormous amounts of investment in installing new equipment and sensors. The crux is that companies, now with the help of data analytics and AI, are capable of rapidly making sense of existing information or collect new information, to transform top line growth and improve bottom line operational efficiency. Importantly, for enterprises, digital disruptions are not about point solutions, but rather an end to end journey that delivers the promise of employer productivity and product maintenance. The best way to embark on this journey is through a unified platform that brings together people, services and applications. Driving Business Growth Through New Technologies? Think Security First! As the adoption of digital tools and protocols has increased so would the risks that comes with it, said Mr. Sherif El- Nabawi, Senior Director Systems Engineering, APAC, Symantec, in his keynote, Driving Business Growth through New Technologies? Think Security First! Blockchain technology is mistakenly perceived by many as more secure, but this will change as more and more enterprises adopt this technology, attackers will slowly shift and adjust their attention to the widening attack surface. It will also become more lucrative for ransomware attacks, he surmised. As every nation or enterprise goes on a digital transformation journey, they should concurrently implement and develop a cybersecurity protocol alongside the digital transformation strategy, he advised. Security should no longer remain as an afterthought, but a collaborative process that happens side-by-side as digital transformation takes place. Before moving on to the implementation, there is a need to thoroughly test and challenge the agility and resilience of the security protocol. Increasingly through the adoption of IoT devices and cloud services, the line between what is personal, or business related is going to disappear. Businesses must develop an IoT strategy and ensure rigorous security access protocols and measures are applied to IoT devices. 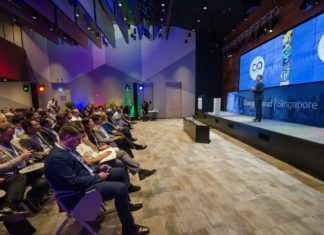 To ensure greater cybersecurity resilience, digital leaders must constantly educate on the shifting security landscapes and adapt accordingly, he said. The volume of data generated by IoT devices and stored on the cloud will increase exponentially causing increasing security risks and concerns. Organisations facing such challenges should consider working with a trusted managed services partner to help mitigate their security problems. The first panel discussion of the day was titled, Digital Economy Ecosystems at Work, in which the following digital economy leaders participated: Mr. Ani Bhalekar, Director, IoT and Mobility Practice Lead, Accenture Digital; Mr. Antony Tan, Core Systems & Service Integration Head, Bank Danamon Indonesia; Mr. Setiaji, Head of Jakarta Smart City Management Unit, Jakarta Capital City Government; and Mr. Sherif El-Nabawi, Senior Director Systems Engineering, APAC, Symantec. The panel discussion was moderated by Prof Annie Koh, Vice President, Office of Business Development, Singapore Management University / Board Member, Government Technology Agency of Singapore (GovTech). 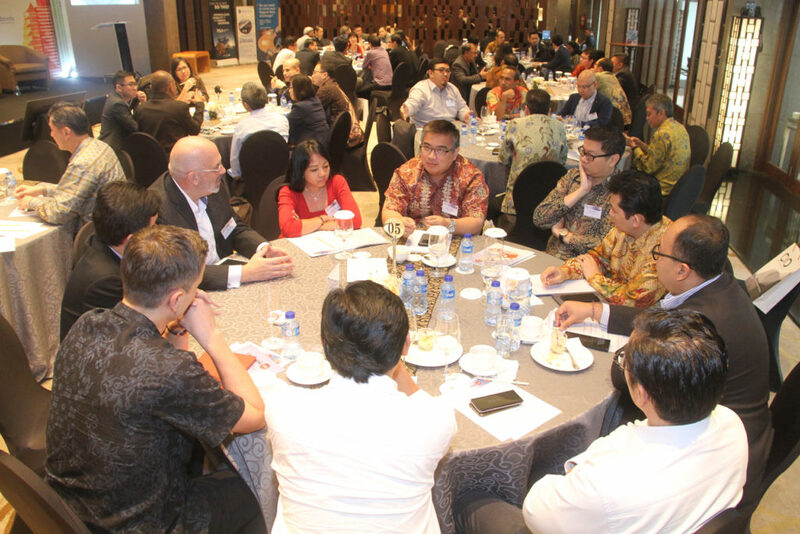 In the panel discussion, digital leaders acknowledged how in the rapid changing landscapes of the digital world, it can be hard to simultaneously balance between speed and security. Companies are struggling with driving digital transformations while securing their businesses. They are faced with the task of rapidly pushing out digital products in pursuance of keeping up with the digital transformation pace of the market. Yet, at the same time, companies must develop, ensure and implement security protocols to safeguard their digital assets. The development and implementation also face the same challenges of speed and velocity. Companies need to understand how to manage, classify and protect their assets. Not all data types and assets are created equal and understanding what the benefits and costs associated with each asset, makes the task of understanding what to protect and how to protect it more achievable. On top of that, the development of security protocols should be managed and accelerated through collaboration between internal and external vendors. A balance should be struck between what can be built internally and what can be handed to external vendors that have existing established security tools that answer the security needs of a company needs, instead of building all these protocols from ground up. Digital leaders also noted the importance of how enterprises need to become more agile and imaginative in thinking of ways to leverage and use these technologies in deriving actionable and practical insights from large volumes of data which we are given access to. The human factor of understanding, using and adapting to these technologies is an important concept for leaders to consider. Change management is a crucial factor in digital transformation, ignoring it can diminish the success of a digital strategy. Change management can be minimised by preventing digital ‘friction’ between people, processes and technologies. The digital leaders on the panel concluded that the adoption of a new digital solution or system should consider minimising ‘friction’ from the very onset to ensure a more successful uptake of digital transformation for enterprises. Digital leaders also noted the importance of how enterprises need to become more agile and imaginative in thinking of ways to leverage and use these technologies in deriving actionable and practical insights from large volumes of data which we are given access to. The human factor of understanding, using and adapting to these technologies is an important concept for leaders to consider. Change management is a crucial factor in digital transformation, ignoring it can diminish the success of a digital strategy. Change management can be minimised by preventing digital ‘friction’ between people, processes and technologies. 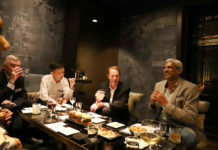 The digital leaders on the panel concluded that the adoption of a new digital solution or system should consider minimising ‘friction’ from the very onset to ensure a more successful uptake of digital transformation for enterprises. In this session, digital leaders discussed some of the leadership traits and capabilities required for transformational tech leaders to succeed in the digital economy. 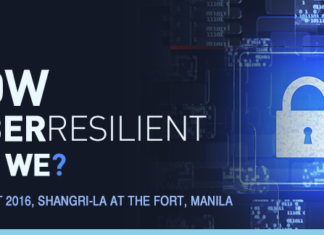 It featured a keynote, “The Data Dichotomy: The CIO’s Newest Leadership Challenge” by Mr Matthew Johnston, Area Vice President, ASEAN & Korea, Commvault. This was followed by a panel discussion featuring Mr Johnston and the following distinguished participants: Mr Deny Rahardjo, Chief Information Officer, Asia Pulp and Paper; Mr Iwan Djuniardi, Director Transformation Technology, Communication and Information, Directorate of General Tax, Ministry of Finance; and Mr. Jean H. Reksodiputro, Director, PEFINDO Credit Bureau. The session was moderated by Mr S. Mahendran, Senior Executive Advisor, CIO Academy Asia. How do we transform the role of CIOs amid an opportune digital transformation era fraught with security risks, asked Mr Matthew Johnson in his keynote. A leader needs to consider how to derive insights from data that drives company growth but at the same time, protect it, he said. To balance opportunity and risk, CIOs need to ensure that process, control and management procedures are implemented to leverage the opportunities available from data and manage the risks involved, he advised. According to him, three things digital leaders need to consider are: First, when implementing a robust data management policy, it is important for digital leaders to know their data, infrastructure and security. Second, unify cloud protection, how to protect your data on cloud services and more importantly, how to recover from an attack. Third, protect the external and have protocols in place to manage connected IoT devices. CIOs need to shift from a transactional model of leadership to a transformational model, the digital leaders concluded in the panel discussion. It is crucial for CIOs to not only possess foresight and clear vision, but the ability to break down their vision into achievable and understandable parts so as to know what talents they should collaborate and how these talents can go about achieving their vision. Successful CIOs understand the need to humble themselves to adapt continuously and possess effective communication skills that ensure collaboration and engagement with employees, boards, vendors, customers and industry partners as these key players collectively adjust in this digital landscape. In summary, CIOs need to undergo cognitive, behavioural and emotional transformations – thinking, acting and reacting flexibly in accordance to the changing digital landscapes. In this pre-lunch session, the discussion was about the best practices in deploying digital tools, driving efficiency and increasing business gains by establishing programmes which create business value and competitive advantage. It featured a keynote, “Enterprise Cloud. One OS. One Click. 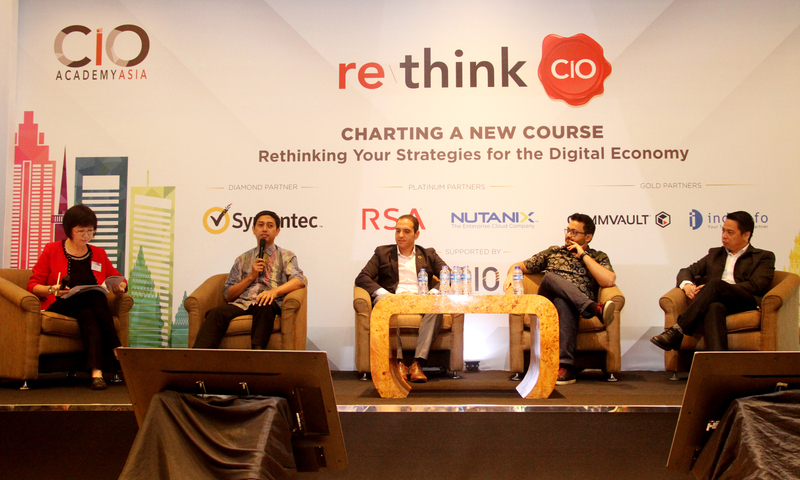 Any Cloud,” by Mr Andreas Kagawa, Country Manager – Indonesia, Nutanix. His keynote was followed by a panel discussion that included digital leaders like Mr Harwianto Tjhin, General Manager IT, Agung Sedayu Group; Mr. Thomas Yeoh, Director, Corporate Development, PhillipCapital, Ms Arifa Febriyanti, Head of DBI, XL Axiata; and Mr Kagawa. Mr Clay Miller moderated the panel discussion. The main takeaway of this session was that there is no one-size-fits-all, sure-fire digital strategy. Behind every successful digital strategy, the underlying principle is that a solid digital strategy is a complement between IT and business strategies. The role of the CIO then is to bring together and facilitate the collaborative process between IT and business leaders, in order to produce a successful digital product that fits customer expectations coupled with a comfortable user experience which will drive more business profits. Moreover, it is important to calibrate the focus of a digital strategy, said the panellists. Does an enterprise want to adopt digital tools to enhance customer experience or to digitalise the operational processes in the company? The design of a digital strategy needs to consider its focus, current consumer behaviours and the readiness of businesses to adopt digital protocols. On top of that, CIOs need to consider the cost-benefit analysis of different types of digital tools in order to adopt the best flexible digital strategy that answers the dynamic needs of management, workflow and industry. In her keynote titled, “Connecting the Dots of Customer Behaviour: Lippo Group’s Big Data Journey,” Ms Vira Shanty, Chief Data Officer, Lippo Digital Group, addressed how Lippo Group with their rich business diversity began their big data and analytics journey. This involved integrating multi-industry data sources into a single analytics platform, creating 360-degree view of customer profile, then gearing up for data monetisation from a new untapped revenue source and connecting cross industry through big data API in the future. The next session featured a keynote, “Bridging the Gap of Grief with Business-Driven Security” by Mr Budiman Tsjin, Senior Manager Sales Engineering, ASEAN & Greater China, RSA, A Dell Technologies Business; and Panel Discussion, which featured: Mr Faisal Yahya, Head of IT – Cybersecurity, IBS Insurance Broking Service; Mr Agus Wickasono, Chairman, iCIO Community, Mr Tsjin, and Mr Murari Kalyanaramani, Head of Information Security, Standard Chartered Bank; The panel was moderated by Mr S Mahendran, Senior Executive Advisor, CIO Academy Asia. The concept of business-driven security means understanding the technical implications of security technology and what these security risks mean in terms of business management. The concept of security is no longer a technical term, but a collaboration between designers, IT security practitioners and business professionals. For digital leaders, there are three things to consider. Firstly, asset assessment and data management, it is important for the CIO to define and understand what assets need to be protected. As not all types of data are created equal, diverse types of assets represent different risks and benefits to the company. Secondly, a security protocol needs to be designed and implemented accordingly. Digital leaders need to devise a defence strategy that leverage digital solutions that can turn insights from security tools rapidly into action through automation. Lastly, these security protocols need to undergo rigorous testing and continuous monitoring to determine and address high-risk weaknesses that may dynamically appear as the digital landscape changes. The focus of this last session of the forum was on how innovation, global competition and the emerging digital economy are fuelling the demand and has created a ‘war’ for digital talent! 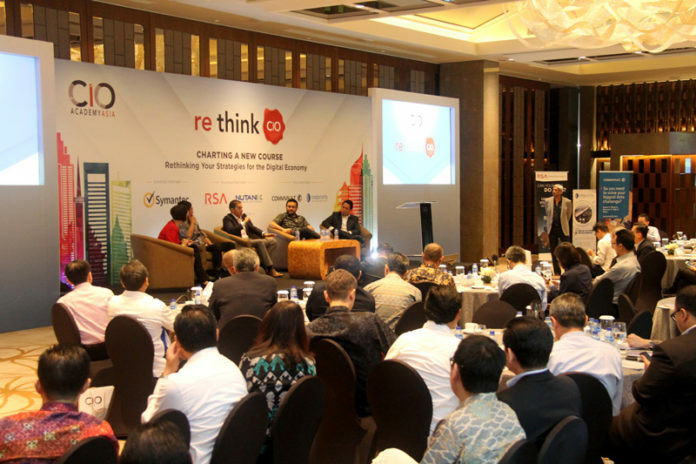 This session comprised a panel discussion which had the following participants: Mr Baskara Rao, Chief Information Officer, APL; Mr Edy Susanto, IT Director, Hero Supermarket; Mr Ravinder Mawa, Chief Information Officer, Sinarmas Mining, and Prof. Annie Koh, Vice President, Office of Business Development, Singapore Management University / Board Member, Government Technology Agency of Singapore (GovTech). Mr. Clay Miller moderated the discussion. A symbiotic relationship between a leader and employee needs to be established, as employees try to adapt and reshape their skills to fit the changing landscapes of an industry; also, leaders should empathise, understand and constantly assess the employee’s talents and growth in the company. There is a need to educate and shift the mindset of employers and companies that funding initiatives and efforts be channelled into job creation and consistent professional development. This ensures that employees can keep their skills, IT or not, relevant in the digital age. 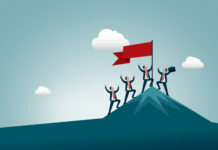 Similarly, successful recalibration and employee retainment is dependent on providing relevant opportunities to help current employees adapt to the digital transformation journey. Often, this can be in the form of trainings, which is a collaborative effort amongst the government, academic institutions and private sectors. 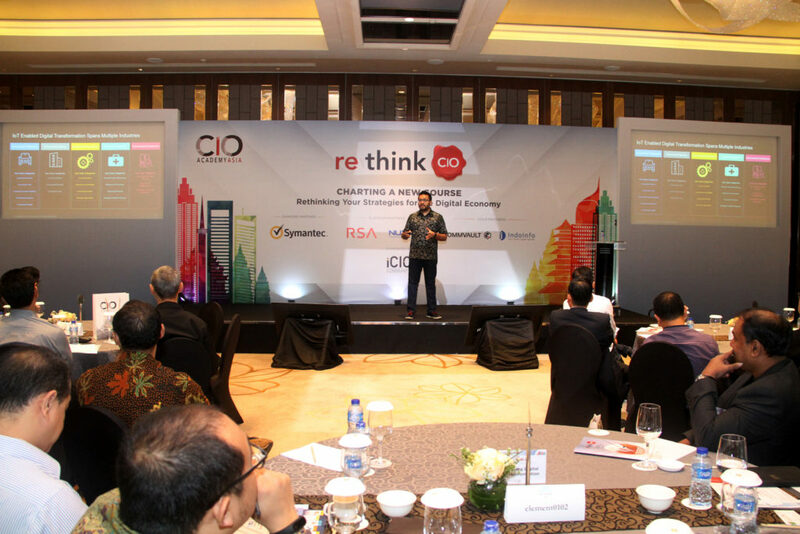 In his keynote, The Future Role of the CIO, Mr Agus Wicaksono, Chairman, iCIO Community, said that the role of CIO is slowly shifting to advising the creation of new business models in the face of advancing technology. A CIO needs to be externally focused, constantly aware of what is happening in the digital sphere and shift the company vision towards changing current business models and creating new business models to flexibly adapt to the changing digital landscapes. Thus, in the current digital sphere, CIOs need to be the bridge between the technical and business worlds; he or she must be comfortable with technical jargon and complexity and be able to break these concepts down and translate them into actionable business insights. 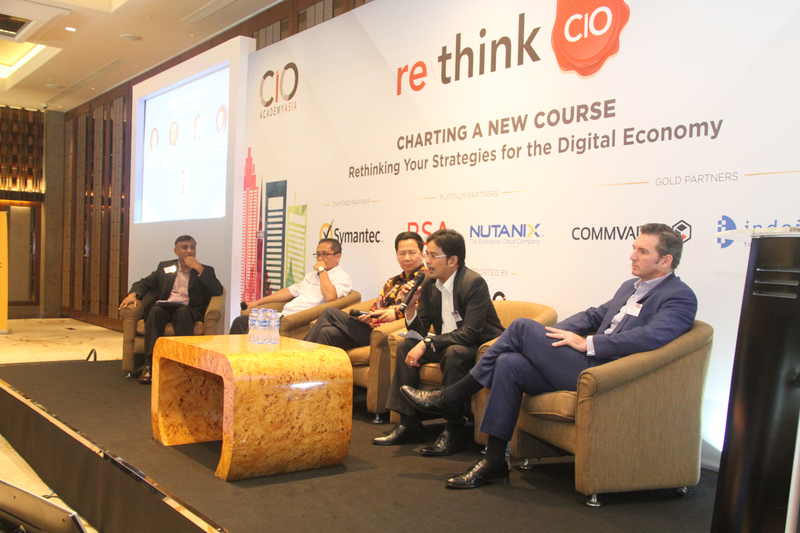 To put it succinctly, the future role of an CIO is to provide insight into the past and advice into the future, concluded Mr Wicaksono. The forum concluded with vigorous breakout roundtable discussions on the following topics: Driving Digital Transformation and Driving Digital Transformation While Securing Your Business; Achieving Cyber-resilience; Innovating to Survive & Succeed; Developing Data-driven Organisation; Aligning IT to Business Value; and Driving Business Agility. The day ended with a networking dinner. To view the original details of this event, please visit here. To view PDF version of this post event report, please visit here.